When I was a tiny girl, our next-door neighbor showed me how to take a leaf from his jade plant, a succulent he called tree of life, tear it in half and put it in a shallow hole so a new plant would grow. Soon we had many small jade plants in our flower beds, and my parents had to put an end to my plant propagation efforts before I pulled all the leaves off of his poor plant. We moved a few years later, and my father dug up the plant I'd started that day and moved it to our new house. Four years later it moved with us again, and it was a huge thing in the yard when my father passed away several years ago. I wish I'd thought to bring a leaf home to Oklahoma with me, but it didn't even cross my mind. I did take home a four-inch long piece of the hanging succulent that he called burro's tail. It rooted in a yogurt cup and grew, although it's a very slow-growing plant. I wonder how old Dad's was, since it was about two feet long. This one is six years old. Anyway, I know from experience that succulents are easy to root, so when my nine-year-old aloe plant broke two years ago I figured it was worth trying to save it. 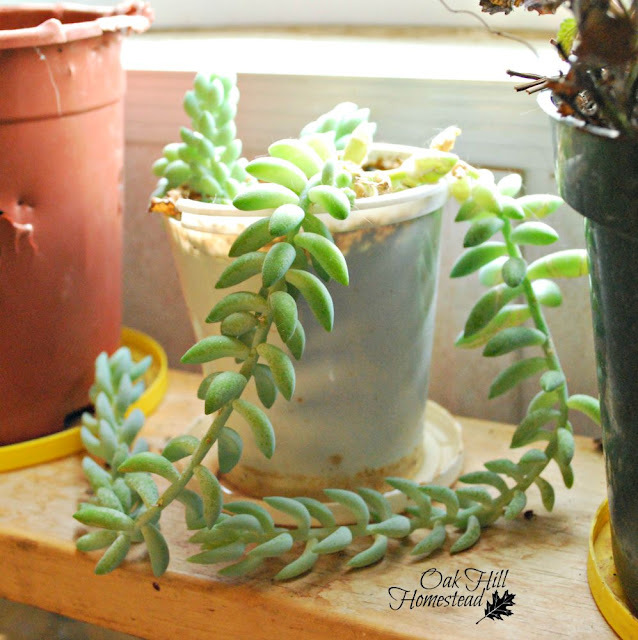 The plant was on the shelf over my kitchen window (you can see it in the picture below, on the far right of the shelf; the burro's tail is in the little white pot), and when I opened a cupboard door I pushed against it too hard and heard it snap. I nearly cried. I took the opportunity to repot what was left of the bottom of the plant. I used the original clay pot but with some new potting soil; there were two "babies" in the pot too so I just gathered them all together and repotted the whole thing. Then I filled another pot with potting soil and planted the part that had broken off. I hoped it would root. It was an awkward shape, very curved, and was a challenge to replant because it wanted to tip over and fall out of the soil. It didn't die, but it didn't thrive and grow either, instead it had a big "litter of puppies" that grew from that top piece that I planted - just like that jade leaf that I'd planted as a preschooler. Lots of baby aloe plants. 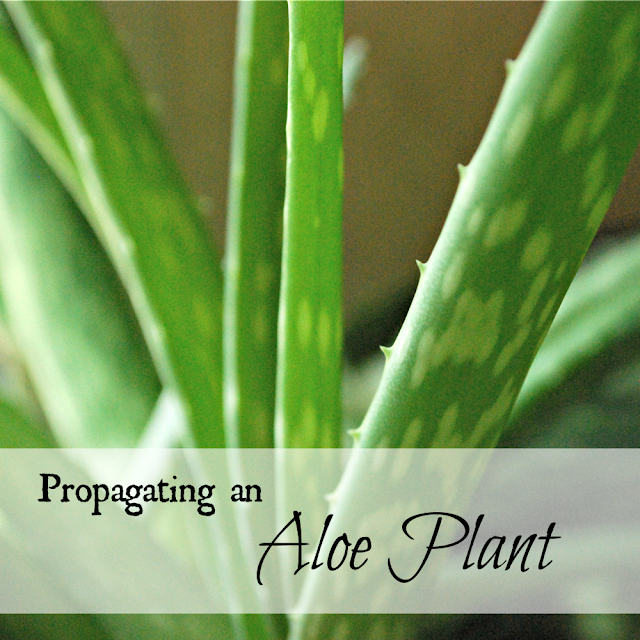 Evidently propagating an aloe plant is quite easy! Mine like the kitchen windowsill where they get some filtered morning sunshine and plenty of bright light the rest of the day. I once put an aloe plant out on our deck, where it was badly sunburned and nearly died, so I'm ok with letting them live on my windowsill where they're happy. Aloe plants prefer to be a bit pot-bound; this is when they sprout new baby plants. Don't be in a hurry to repot, but if you must, use a pot that's just a bit bigger; don't size up too much. Aloe has so many health benefits. Most people are aware that the gel is helpful if you burn a finger in the kitchen, but it is also used to keep skin hydrated and young-looking, soothe sunburned skin and to relieve heartburn. 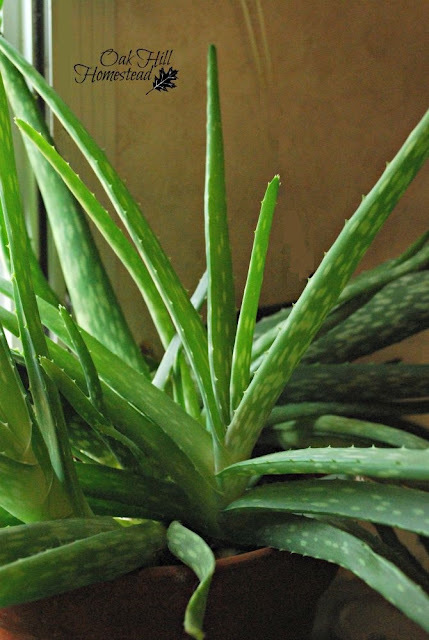 New studies are being conducted to support claims that aloe can fight cancer, treat diabetes and more. 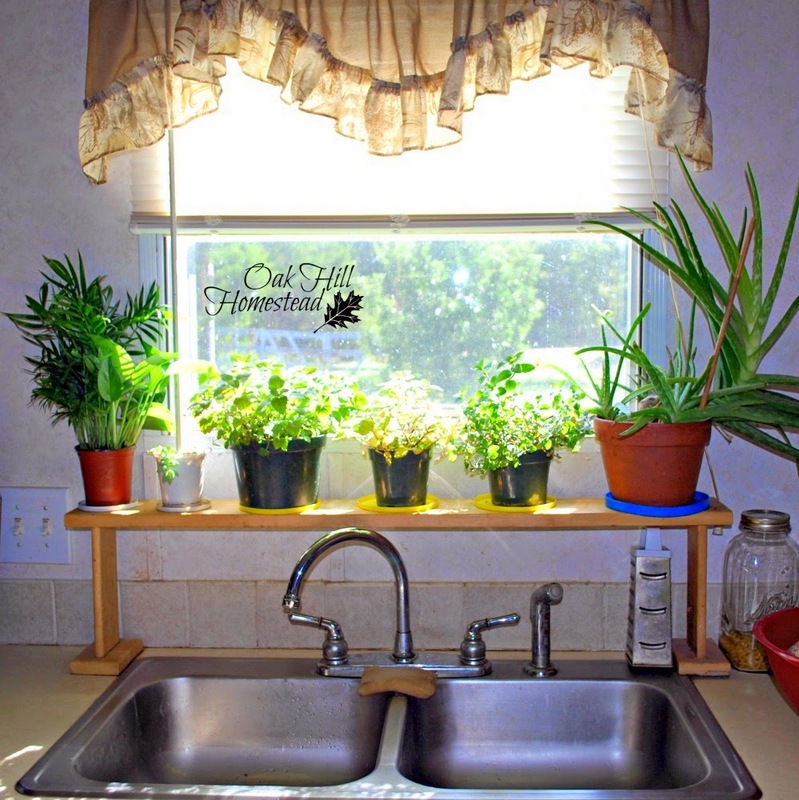 It's a good plant to have on the kitchen windowsill. Aloe are mighty hard to kill. They are tough lil' buggers. We have some outside, but your post has made me realize that the babies surrounding it would be perfect on our bathroom windowsill. Guess I have an extra chore today. Thank you! I just started growing an aloe plant this year. Thanks for the info on how to propagate! You're welcome, Kim. I hope your aloe plant takes off and grows like crazy. I was just looking at my aloe plant wondering if I should re-pot it. Thanks for sharing this...I think I will let it go. It looks healthy and happy so I will leave it alone. 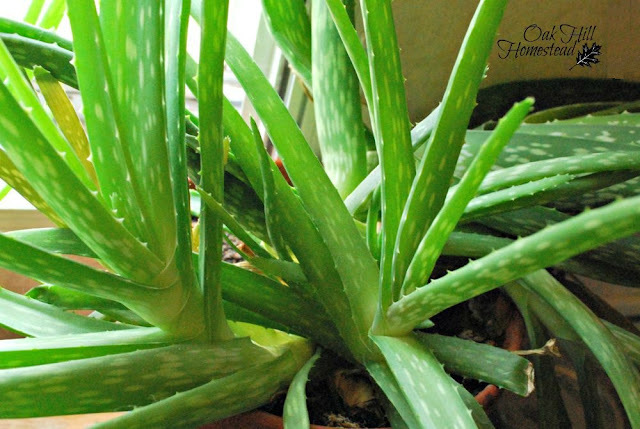 Aloe is so handy to have on the homestead. I enjoyed reading your post. Thanks! Yes, Sally, it is. I'm glad you enjoyed it. That's what worked for me, Mari. Keep it watered. You might try putting a couple leaves in the pot, burying one, "planting" another and so on. Good luck, and do let me know what worked for you! I love aloe! We had a monstrous aloe patch in my backyard growing up. My parents have a bunch in their house now, and I keep forgetting to take some when I visit! This is great reminder. 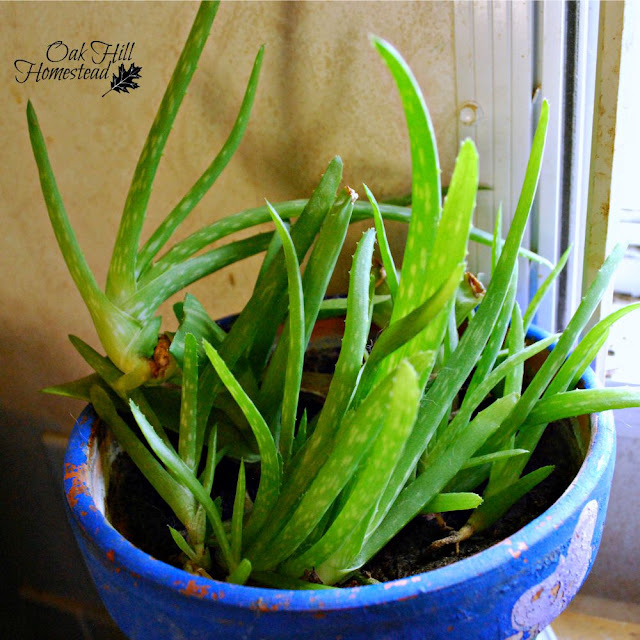 Aloe is so great to have around! Hi Lindsey, you are blessed to have some "parent plants" at your parents' house! Don't forget to bring some home next time you visit. Thanks for sharing wonderful tips, Hearth and soul blog hop, pinning and tweeting. Thank you for sharing, Swathi! Thanks for the great tips. I love aloe. Thanks for sharing at the Weekend Blog Hop at My Flagstaff Home! Thanks for the information! I wonder if aloe will grow good here? I either have east or west windows...none of the sides! lol (weird, I know!) I'll have to give it a try.